Today I’m back to share with you some of my fall sewing plans. These are all patterns that I currently own but have yet to try. You will notice a heavy Oliver + S theme going on here. 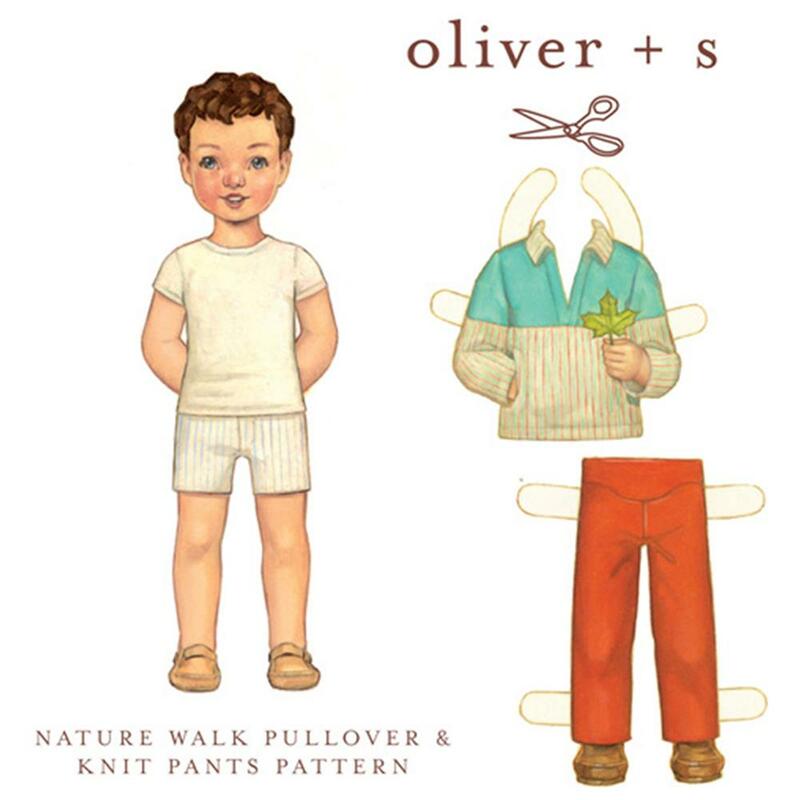 I’ve been collecting some of their patterns when they run occasional sales and have GOT to make some of these this fall before Oliver sizes out of the patterns I bought! The ones I got only go up to size 4! FYI if you sign up for their email list, they will run sales several times a year and it’s a great time to stock up on patterns you’ve been eying since their patterns are not cheap- but totally worth it! 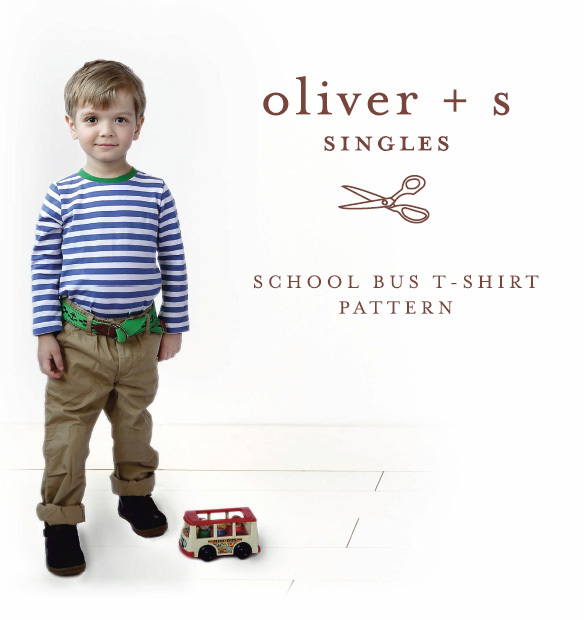 Oliver + S School Bus tee– I actually bought the family package of these tees so I have the entire size range and the women’s and men’s patterns. Excited to try all of them out this fall for family tees! I’m curious to see how I like this pattern compared to the flashback tee. Greenpoint Cardigan– It is unisex even though the pattern picture is of a girl. I got this during a bundle sale last fall- I think the Sew Fab? Anywho Oliver is definitely getting himself a cardigan this year. Won’t he look so cute in it? Field trip raglan t shirt– I actually just bought this during their 20% off June sale and thought I bought the larger size range but I didn’t- boo. Oh well. 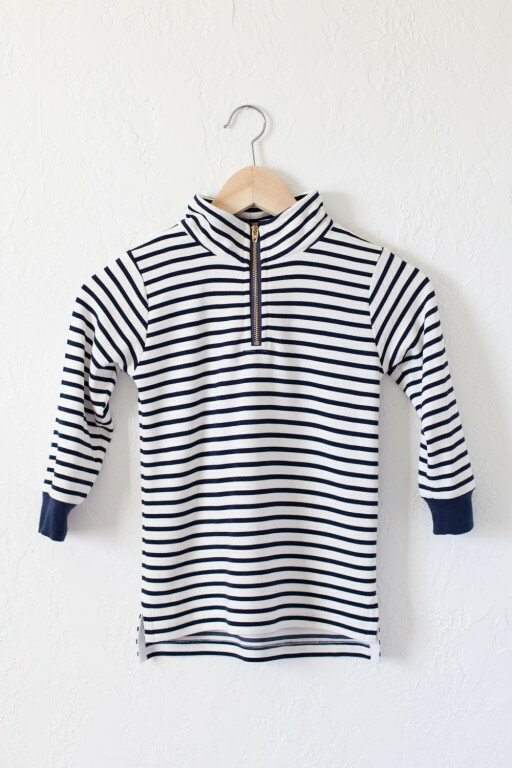 I’m hoping that I like this raglan pattern better than the one I’ve previously used from Sewing for Boys. I’ll be sure to let you know my thoughts when I make it. 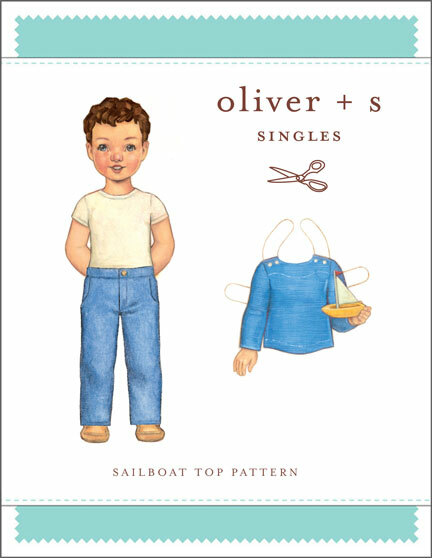 Sailboat Top and Pants– I am hoping to make a top for both boys from this pattern and a pair of pants for Eliot. You notice I don’t have much variety in pants patterns because I like to stick with the basics but I think this one would be cute for E. I’ve actually had this pattern for several years and have put off making it. Really, Brooke, what’s wrong with you?! Hawthorn Zip Up Sweatshirt– Got this during the Willow+Co Sale about a month ago. I’m thinking this would make a really comfy sweatshirt for Oliver. Gonna try to find some cool knit to make it in. Nature Walk Pullover– Another cozy outer layer. We spend a lot of the fall in layers so it’s nice to have several options to throw on the boys over their tshirts. I’d like to try out the knit pants too for some wearing-around-the-house pants. So now that I’ve gotten this list all made, I realize how many patterns I own that I haven’t used yet. Now I’ve made a promise to myself to try all these out before I am allowed to buy any more. And I’m putting this list on the internet to keep myself accountable to you all! Be sure to ask me how I’m doing on this goal if you think of it. I hope you’ve enjoyed this week that has been all about boys. We are excited to continue this series and are brainstorming some fun ideas for this fall. Think: awesome theme, sew along, maybe some fun prizes…Hopefully we can continue to develop this series and encourage everyone to sew more for the boys in their lives. Make sure to check out what Heidi and April have to share with you today! 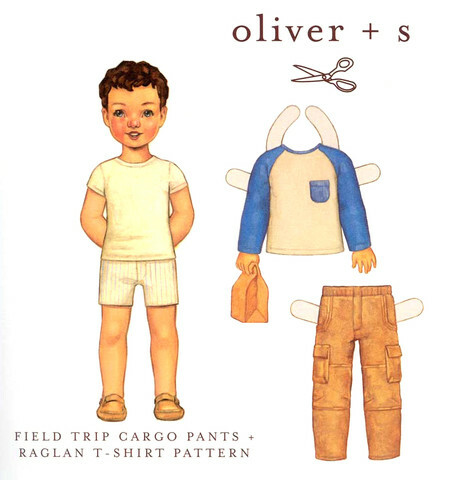 This entry was posted in All About Boys by oliver's fancy. Bookmark the permalink. I’m curious to see how you like the raglan too! I’ve used the Recess Raglan quite a few times and I do like it but I’m still keeping my eye out for the “perfect” one, ya know? Thinking the Hawthorne might have to be incorporated into our fall edition, we all have it! 😉 That and the Greenpoint Cardigan! I agree about the Hawthorne and cardigan! Yep, I hear ya. Almost tried the recess raglan but then had a coupon for the Oliver+S one so I’m trying that first. Hoping it is good! And loving that we all have the Hawthorn and Cardigan pattern! Perfect. Okay, I love that we are thinking the same thing as far as cardigans and pullovers! And I’ve been in love with the sailboat tee for years but haven’t purchased it yet…great list, Brooke! I hear you on the “too many patterns” conundrum! I have so. many. patterns. Many of them I haven’t even cracked (literally or figuratively, with respect to digital patterns). Some of these that I’ve tried – the Field Trip raglan has a looser fit than the Sewing for Boys version, which Joe prefers (so comfortable) so I have made several! A definite hit. The pants are complicated but really cute and were one of Joe’s faves before he entered his “shorts only” phase. The Sailboat pants are great and I’ve made about a million pairs. The top is cute too – try it in a stable knit! The Nature Walk pants make excellent pjs or ninja/karate pants. I am very curious to hear how the School Bus compares to the Flashback! I’m such a die-hard Flashback fan, and I have it in all the available sizes, so I hadn’t considered buying any other t-shirt pattern. Oh, sewing planning is one of my favorite parts of sewing! Too many great ideas, too little time. I only got the School Bus bc I had a coupon if I bought the whole package with the men’s and women’s too. Interested to compare it to my FB fave too! Thanks for all your input on my pattern choices. It’s so helpful to read other’s reviews! !